​Charles Calvin Yancey, past President of the Boston City Council, completed a record sixteen terms in office in 2016. As Dean of the Boston City Council, he served continuously longer than any member of the body in the history of Boston. He was founder and chair of the Post Audit & Oversight Committee. He was also Vice Chairman of the Ingersoll Browne Fund. Councillor Yancey successfully initiated the building of the Dorchester/Mattapan Police Station and the Gallivan Community Center. He successfully introduced a $7 Million loan-order to build the Mildred Avenue Community Center in Mattapan. He also successfully introduced a $10 million loan order to build the Mattapan Branch Library. Councillor Yancey gained national and international attention for his involvement in the Free South Africa Movement with his authorship of a stringent Divestiture Ordinance that withdrew $12.5 million of Boston's assets from companies doing business in South Africa. As a result of the legislation, which was used throughout the nation as a model for other municipalities to divest, Yancey was invited to address a meeting at the United Nations. Councillor Yancey and his wife, Marzetta Yancey, founded the Charles C. Yancey Annual Book Fair, in 1987, having since distributed over 700,000 brand new booksto over 30,000 children and families. He passed the Parental School Leave Ordinance to encourage greater parental involvement in the Boston Public school system. He wrote the Ordinance requiring Crossing Gates on all Boston Public School Buses. He successful got tobacco control laws on the books, including the prohibition of free cigarette distribution and use of unattended vending machines to sell cigarettes. Councillor Yancey successfully established a sister city relationship between the City of Boston and Sekondi-Takoradi, Ghana. By establishing the State of Emergency line item for the Boston Public Health commission funded awareness program concerning HIV/AIDS in the communities of color. More than $1Million has been expended since its implementation. Charles Yancey, the first member of his family to go to college, received his Bachelor's Degree in Economics from Tufts University and a Master's Degree in Public Administration from Harvard University. He has taught courses in State and Local Politics at Bunker Hill Community College in Boston and he received an honorary Doctor of Laws degree from Mount Ida College. Councillor Yancey served as President of the Boston City Council, Acting Mayor of Boston, President of the National Black Caucus of Local Elected Officials, President of the Black Political Task Force, and President of his Junior Achievement Company. He was also a member of the Board of Directors of the National League of Cities. As a member of the Boston City Council, Councillor Yancey has challenged all department heads to improve their performance of insuring that their personnel reflect the gender and racial demographic make-up of the City of Boston at all salary levels. His dedication to achieving equal rights for all people began to emerge in 1966, during his four years at Tufts University, where he co-founded the Afro-American Society, the African American Cultural Center and the Tufts Summer Institute. Councillor Yancey has also challenged the City of Boston to build a new high school in Mattapan and to increase educational resources for enhancing academic growth of all students attending Boston Public Schools. Councillor Yancey has been honored by the American Cancer Society, the Greater Boston Sickle Cell Disease Association, ABCD, NASA, the Massachusetts Association of Minority Law Enforcement Officers, the Vulcan Society, and the Massachusetts Minority State Police Officers Association, Black Educator's Alliance of Massachusetts, and many other organizations. Councillor Yancey is married to Marzetta Morrissette Yancey and they have raised three sons, Charles, Jr., Derrick, Sharif, and their one and only daughter, Ashley. They have six grandchildren: Noel, David, Derrick Jr., Stephen, Hattie and Hieu. 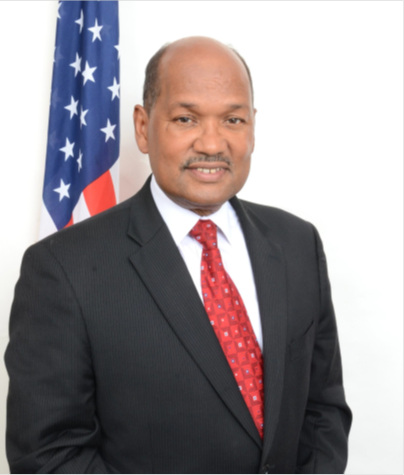 A life-long resident of Boston, Massachusetts, Councillor Yancey is the sixth son of Howell Yancey, Sr., and Alice W. Yancey. He grew up in Roxbury along with six brothers and two sisters. Charles C. Yancey attended the Boston Public School System, before earning his B.A. in Economics from Tufts and his Master’s Degree in from Harvard.